The Interest Graph API exposes a web service to which you feed a block of text and get back a set of topics and associated score. It has been trained over the last few years with millions of articles that people share on their social media accounts and in my experience using Prismatic the topics have been very useful for finding new material to read. 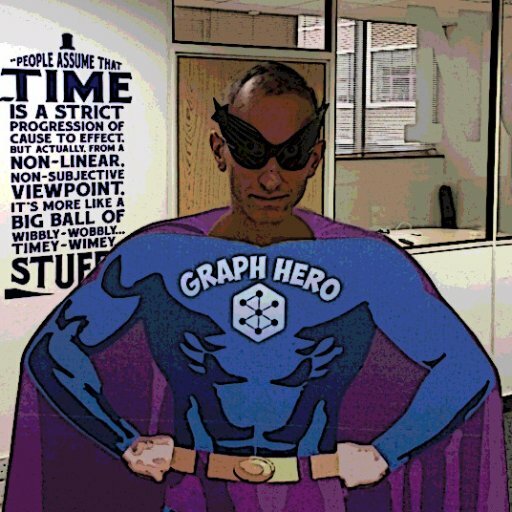 The first step is to head to interest-graph.getprismatic.com and get an API key which will be emailed to you. Having done that we’re ready to make some calls to the API and get back some topics. One thing to keep in mind is that the API is rate limited to 20 requests a second so we need to restrict our requests or we’re going to receive error response codes. Luckily I came across an excellent blog post showing how to write a decorator around a function and only allow it to execute at a certain frequency. 4,1,1,1,"Narrator: Kids, I'm going to tell you an incredible story. The story of how I met your mother"
5,1,1,1,Son: Are we being punished for something? 7,1,1,1,"Daughter: Yeah, is this going to take a while?" 8,1,1,1,"Narrator: Yes. (Kids are annoyed) Twenty-five years ago, before I was dad, I had this whole other life." 9,1,1,1,"(Music Plays, Title ""How I Met Your Mother"" appears)"
We’ll assume that the episodes and seasons are already loaded – the commands to load those in are on github. Overall 168 (out of 208) of the other episodes have a topic in common with the first episode so perhaps just having a topic in common isn’t the best indication of similarity. An interesting next step would be to calculate cosine or jaccard similarity between the episodes and store that value in the graph for querying later on. I’ve also calculated the most common bigrams across all the transcripts so it would be interesting to see if there are any interesting insights at the intersection of episodes, topics and phrases.